We've all had a bit of a boo boo in the shops before: accidentally dropping a bottle of Pimms in aisle three, getting a pricey ring stuck on your finger, ripping a skirt at the seams that you're trying to squeeze yourself into. But no faux pas will ever live up to this tourist's in China, when she accidentally broke a £34k jade bracelet. Let's get this straight: this ain't no regular peasant bracelet. This is jade, guys. Real jade. To help you understand, I'm gonna have to get sciencey - Jade's a green ornamental rock comprised of two different metamorphic rocks: nephrite and Jadeite. Jadeite, which is comes from Burma, is the most expensive of the two. In Chinese culture, jade is a symbol of goodness, precociousness and beauty. Hence why it's worth all the dollar. 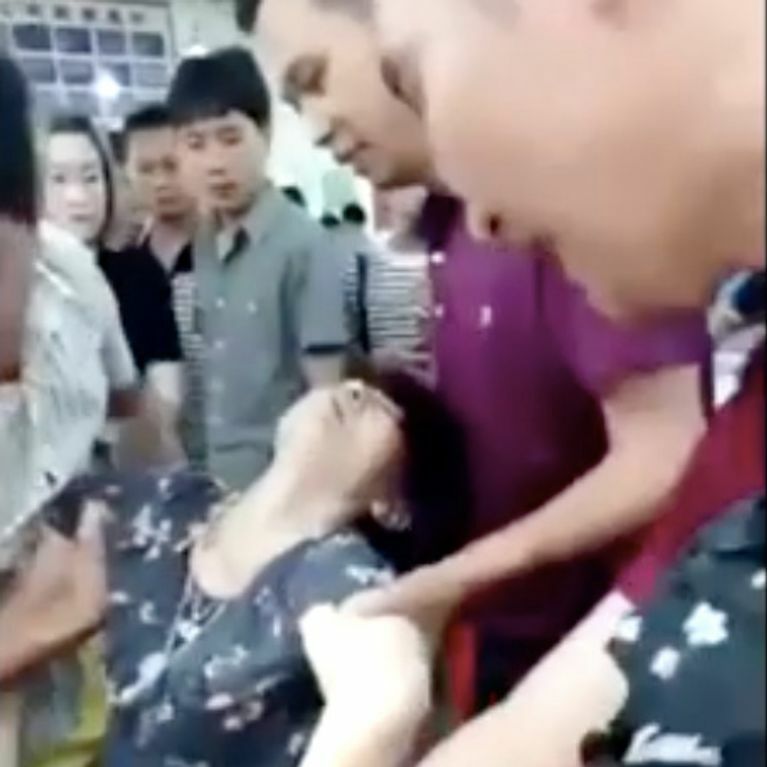 So imagine how this woman felt when she accidentally dropped a jade bracelet while trying it on in Ruili City's jade market in China's Yunnan province. After the salesperson made her aware of how much the bracelet was - a whopping 300,000 yuan (around £34,000) - she struggled to take it off and it ultimately fell to the ground, breaking into two. Fellow shoppers tried to comfort the woman but she ended up "fainting" right there on the spot - much in the way we do after looking through all those receipts in our bag after a heavy night out. Now, if we were in this predicament, we might be privvy to a faux faint, staying on the ground until everyone's packed up and gone home, and then running for our lives into the night, never to be seen again - not saying that was her game plan, but we certainly couldn't blame her if it was. Eventually, the woman's family settled on paying the seller 180,000 yuan in damages for the broken bracelet - that's around £20,700. Let's hope she just admires jewellery from afar from now on.